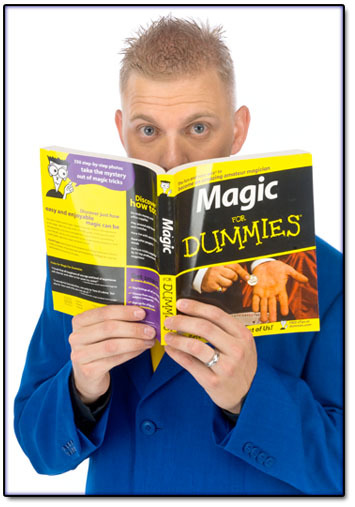 Bryan Gilles: Comedy Magic provides hilarious and amazing comedy, magic, and illusions for corporate events and private parties and is a show that you'll never forget! Those inclined to dismiss experience and competence against the backdrop of youth would mistakenly dismiss Bryan Gilles as a mere magical upstart. Looking past reflexive assumptions, however, one could just as easily find themselves dumfounded by the sheer knowledge of the art and its historical provenances possessed by such a comparatively young entertainer. These characteristics alone separate Bryan from 95% of his contemporaries, whose primary magical tapestries began with the emergence of David Blaine and the advent of the “YouTube School of Magic.” As a rare, second-generation magician, who as a child saw countless sold-out stage shows and churches in his father’s gospel-themed act, Bryan was outfitted with the early tools and appreciations necessary to later work with some of today’s leading Las Vegas acts—with one-of-a-kind stage acts and white tigers to boot. Bryan’s sense of presentational acumen comes as a result of both being born into a family of entertainers, and the fact that he had been a primary player in his father’s act from the age of five. In one seven month period, Bryan’s family toured twenty-seven states presenting the Gospel and illusions in churches, schools, community theaters, auditoriums and civic centers. Bryan’s father, Dave had himself been performing from the age of eight, and so passing on a generational itinerary and workload was not only a rite of passage—it was also tradition. That tradition led to Bryan and his sister’s 1st place victory in a stage magic competition that same year. And study he did. While today’s Internet immediacy literally removes much of magic’s anticipatory wonder, Bryan had his father’s tapes—those of early legends such as Copperfield, Siegfried and Roy, Lance Burton, and the late Doug Henning. Practicing involved direct mimicry of these legends coupled with the secrets learned from his father. After countless hours along with just a few more years, Bryan knew that the road forward was actually backward. He began to study magic’s deep and rich history, and what made the illusionists from yesteryears so wonderful. College was the only real hiatus, as academics temporarily displaced what was in reality, a lifestyle. Moving from California to Northern Idaho would solidify Bryan’s individual and unique approach to the art. Bryan’s quick wit and fast hands became a mainstay in the local magic shop, which also provided a steady array of spectators already inclined to enjoy his performances. This of course led to small engagements, parties and casual gatherings—venues whose fluidity and frequency have led to some of Bryan’s most solid performance pieces. Pieces he asserts will always be a part of his act.